If your journey takes you off the beaten path, you won’t find a more capable vehicle than the agile Jeep Wrangler. Since the 1940s, Jeep has proven their iconic vehicle’s durability across the most brutal terrains on earth. Through generations of testing and tweaking, it is recognized as a reliable workhorse. After years of research and development, Jeep has rolled out a diverse lineup of Wrangler trims to satisfy any driver’s preferences. The concentrated effort to balance practicality and power is evident in the tech-focused upgrades found within the 2019 Wrangler’s interior. Easy-to-use technology now makes navigating easier than ever. The Sport S builds on the base model’s offerings with cold-resistant technology, and the Sahara will impress passengers with its unique interior styling. Drivers bound for the untamed wilderness can rely on the mighty Rubicon’s extra off-roading capabilities. If you’re searching for a rugged SUV in the Fox River Valley, we’re here to help. At Sycamore Chrysler Dodge Jeep Ram, our team of automotive professionals can pinpoint the right vehicle to meet your specific needs. We also have a master-certified sales and leasing consultant to make the financing process quick and easy. Call or drop by our lot today take the 2019 Wrangler for a test drive. The 2019 Wrangler is available in two-door or four-door builds, seating four or five respectively. The open interior space provides ample legroom. The cabin’s durable materials are durable and a breeze to clean, and Jeep’s Uconnect system is water-resistant. The four-door models offer more than 72 cubic feet of storage space when the rear seats are folded down. The interior also houses two complete sets of LATCH car seats connections. The Sahara’s infotainment options ensure that whether you’re exploring the great outdoors or just cruising through town, the ride will never be boring. Fans of the classic Jeep design will instantly recognize the Wrangler’s grille and circular light features, but the 2019 model also comes with some exciting exterior upgrades. The push of a button opens up the retracting roof via the Sky One-Touch Power Top. Available LED headlamps and fog lights preserve visibility when it’s needed most. There’s no other sport utility vehicle better prepared for a hard day’s work, and the standard 2019 Wrangler is equipped with a 285-horsepower V6 engine. While the base engine is more than capable, drivers may be interested in the 270-horsepower turbocharged 4-cylinder. The two-door builds can pull 2,000 pounds, and the four-door Unlimited can tow a whopping 3,500. Skid plates and part-time all-wheel-drive are standard features, while the Rubicon trim enhances the Wrangler’s off-road abilities with performance suspension and locking rear differential. 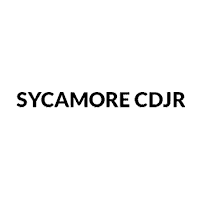 At Sycamore CDJR, we’ll work with you to find the exact vehicle to meet your unique wants and needs, whether it’s the adventurous Wrangler or any other SUV, truck, or sedan. Our inventory is online for your perusal, and you can always pay a visit to our showroom in Sycamore. We’d love to talk with you about our new and pre-owned vehicle specials.